Play the card on curve. Cascading rebirth is best use on survive lavaslasher ( give you either armada which can proc its effect if you had BBS available or makantor) & grimes. 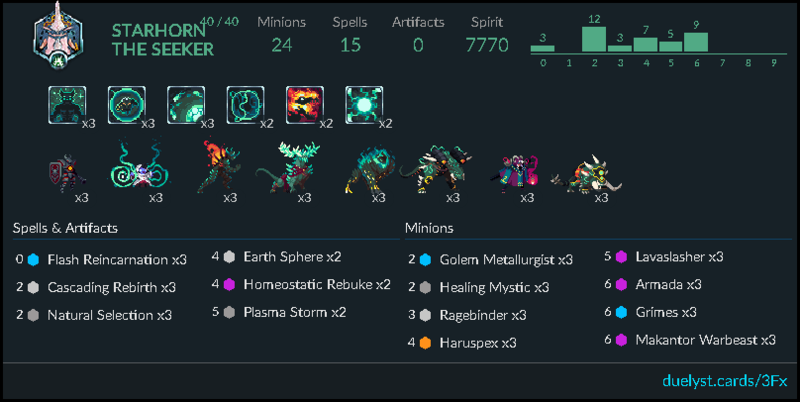 Had the pleasure of playing against this deck. It was a fun match. There’s some crazy swings Cascade can produce with Grimes. The Lavaslasher synergy was a great surprise too. I’m not sure Haruspex belongs in any deck without Decimus. Fractal Replication seems dirty with Armada and I’d consider Kujata for more mana cheat.